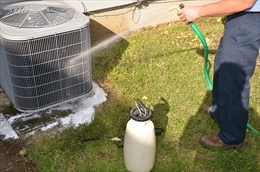 The sudden breakdown of an air conditioner when summer heat is at its peak is not unusual. In fact it has often been found that service calls reach the peak during summer. This could be on account of the fact that HVAC is rung almost 24X7. The moment your air conditioner declines to function, you jump into action. You want to find a quick fix to this major inconvenience. However you do not notice the fact there are thousands of unscrupulous HVAC service providers who ae masquerading as genuine companies. They take advantage of your situation to feather their nest. The insurance fraud is one of these. It is quite rampant in the HVAC industry. The fraudulent HVAC service provider visits your house. It is a huge relief for you! You get back on your feet, breathing a sigh of relief. But the scam that your call has initiated remains oblivious to you. The technician at his end has parroted the dialogue that he would throw towards you. He would say after a prima-facie check-up, that he has both a good and bad news for you. The bad part of it is that your HVAC is beyond repair. It requires a replacement when the fact is that it does not. The good part of it that he will write in his invoice that the HVAC has suffered damage due to some grave reason such as inclement weather. You have to show it to your insurance carrier, and you will be reimbursed the full cost of replacing the unit. After the whole act of replacing the air conditioner is over, you pick up the phone to call your insurance agent. The insurance company after an inspection tells you that your HVAC suffered minor problem and could have been actually repaired for $100. The replacement was totally uncalled for. So they would not repay the cost of replacement. For a homeowner it spells doom. It was not his doing. According to Damon Stafford of HVAC Investigators of Charlotte, NC.- “ The blatant dishonesty and fraud that we encounter on a daily basis is disheartening. 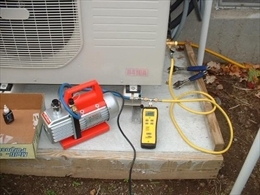 We see full replacement claims submitted to insurance companies where a breaker is simply tripped, or where the wiring leading to an HVAC compressor was accidentally cut by a previous repairman." The downturn in the construction business is making many-not-so reputed HVAC companies into taking resort to such scams. It has also been found that many insurance companies overpays on claims. The figure of such payment is close to whooping 65%. This is badly affecting people who pay property and casualty insurance premiums. The saddest part of it is that even today most homeowners are unware of insurance scams by HVAC companies. All they want is relief from heat at any cost.